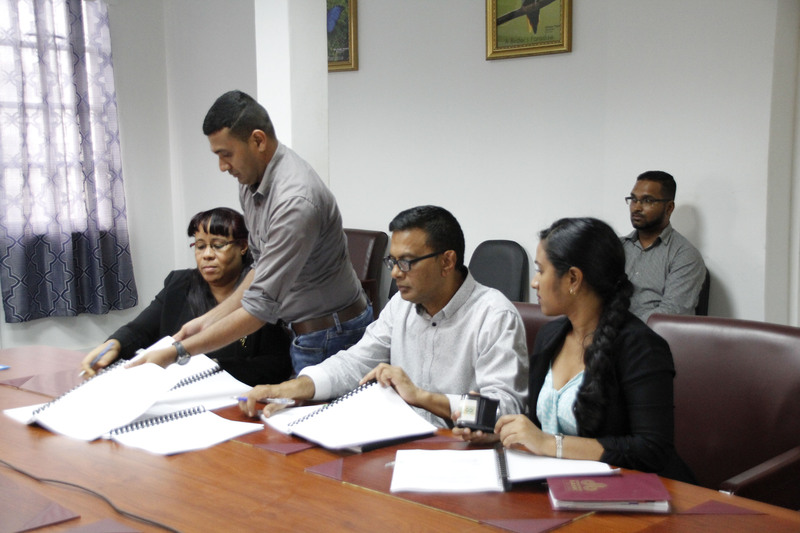 A contract for the design of a Hospitality Institute, which will provide top-notch technical and supervisory industry training locally, was yesterday signed between the Minis-try of Education and architecture firm, Deen and Partners. A release from the Ministry of Education stated that the institute, which will be constructed to the tune of US$250,953 ($50m) , will mimic a four-star hotel, with provisions for fine dining, banquet halls, classrooms, and recreational facilities such as swimming pools and a tennis court. A site at Providence has been identified as the proposed location…..